“Books are living things. They need to be respected, to be loved. We are giving them new lives.” So declared Andrée Le Fauo, a retiree dedicated to giving away used books near the Montmartre district of Paris, according to a recent article in the New York Times. ( “The French Still Flock to Bookstores,” by Elaine Sciolino, June 21, 2012). But concerned citizens are not the only ones worried about the diminishment, if not the demise of the physical book and the corner bookstore in this age of e-sales. So, mon Dieu, is the French government. The country that gave the world “liberté, egalité, fraternité” also believes that certain inalienable rights central to the well-being of the French soul deserve support. Cheese, wine, books. What could be more French? In a nation self-identified with its writers, intellectuals and the printed word, support for the soul includes shoring up books from predatory invasions by Google, Amazon and other cyber-sellers. Bookstores are subsidized, and booksellers determine the bottom-line price for sales, below which an online seller may not discount. Not surprisingly, under this system, French bookstores, booksellers and buyers are thriving. 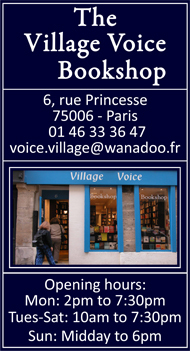 Meanwhile, English language bookstores in France, including the famous Village Voice in the Left Bank St.-Germaine-des-Prés neighborhood, which just closed its doors, are succumbing to the death spiral of market forces that bookstores are experiencing in the English-speaking world. 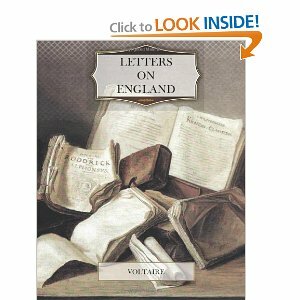 (Since my English language novel, That Paris Year, has been recently distributed to several of these stores, I count myself as a very interested party). Some experts believe the French are only forestalling the inevitable, when like Voltaire’s hero Candide, they, too, will embrace “the best of all possible worlds” and their books will go happily down the e-road to oblivion. Meanwhile, those of us with an old-fashioned attachment to those things called books can rejoice and imagine a world in which some value other than the almighty dollar – or euro – prevails. The French language may even offer a kind of insight. The word “le livre,” means of course, book. But there is also another form of the word, “la livre,” which in the old days before the euro, or even the franc, meant a pound, as in money. Now that old form has fallen out of common usage, and what remains standing is “le livre.” Vive le book! • Apologies to Hugh Biggar for lifting his pun.